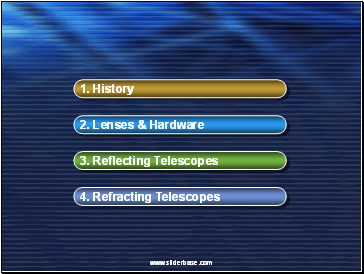 the first to use a telescope in astronomy. 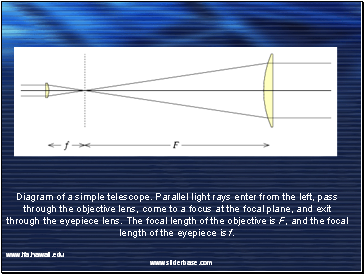 Galileo's designs used a combination of convex and concave lenses. improved the design to have two convex lenses, which made the image upside-down. 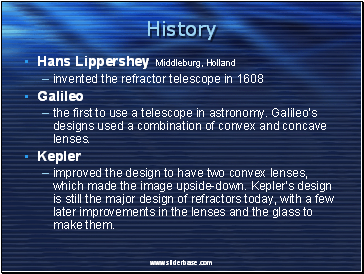 Kepler's design is still the major design of refractors today, with a few later improvements in the lenses and the glass to make them. Why can’t you see an object that is far away? 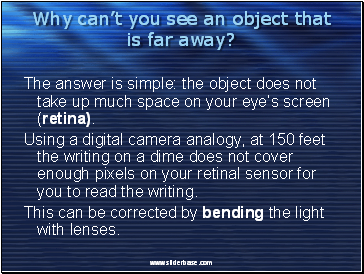 The answer is simple: the object does not take up much space on your eye’s screen (retina). Using a digital camera analogy, at 150 feet the writing on a dime does not cover enough pixels on your retinal sensor for you to read the writing. This can be corrected by bending the light with lenses. 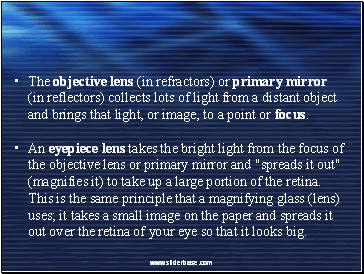 The lens in your eyes works like a glass lens. The light bends as it goes through a different medium. 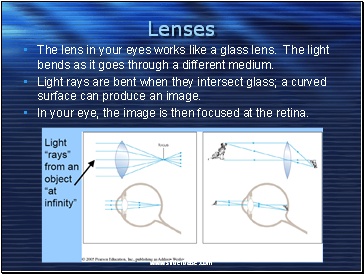 Light rays are bent when they intersect glass; a curved surface can produce an image. 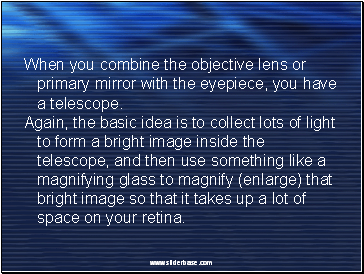 In your eye, the image is then focused at the retina. 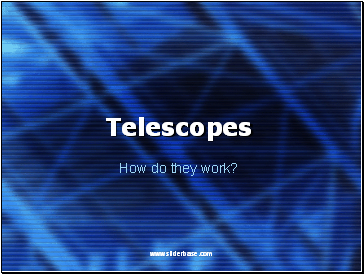 How does this apply to telescopes? 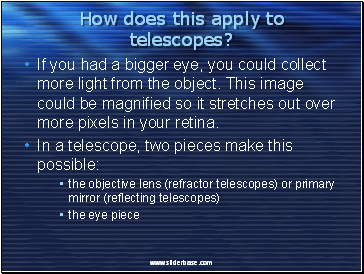 If you had a bigger eye, you could collect more light from the object. This image could be magnified so it stretches out over more pixels in your retina.